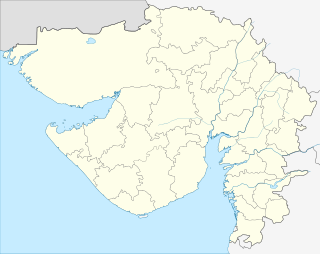 Suratte or Soeratte was a famous trading city on the north coast of what is now India, in the modern state of Gujarat, lying on the river Tapti. The city, now known as Surat, became a directorate of the Dutch East India Company in 1616. The British had established a factory in the Suratte in 1609 or 1612, after delivering a blow to the Portuguese. It is part of what is today known as Dutch India. Pieter van den Broecke established a Dutch trading post in Suratte in 1616, after previous efforts had failed in the years before. The Dutch East India Company was compelled to form this post after the sultan of Aceh no longer allowed them to buy cheap cotton on the local market. By 1759, the Dutch East India Company's trade had fallen substantially. Trade had largely moved to British Bombay, with Suratte playing only a subordinate role. Due to the Kew Letters Dutch Suratte was relinquished to the British in 1795. It was restored to Dutch rule by the Anglo-Dutch Treaty of 1814 but again relinquished to the British by the Anglo-Dutch Treaty of 1824, which divided East Asia into Dutch and British spheres of influence. Dutch Suratte (note: Agra and Burhanpur not in their actual position). Suratte Factory 1616 1825 Founded by Pieter van den Broecke in 1616. After the British took the city of Suratte from the Mughal Empire in 1759, the trading post's role diminished. Eventually relinquished to the British in the Kew Letters and temporarily restored to the Dutch between 1818 and 1825. Ahmadabad Factory 1617 1744 Important trading port. The Dutch East India Company office was founded in 1617 and eventually abandoned in 1744. Agra Factory 1621 1720 Capital of the Mughal Empire. Due to the remote location of six weeks travel from Suratte, the trading post was almost never visited by inspectors of the Dutch East India Company. Private trading (forbidden by the Dutch East India Company) and corruption made traders here rich men. Cambay Factory 1617 1643 Rather unsuccessful post due to the inability of ships to dock at the port at low tide. After problems with local merchants closed in 1643. This page was last modified on 11 June 2015, at 06:53.